Theresa May’s government has quietly agreed with the European Union (EU) to give European courts the final say over Brexit issues, including the massive “divorce bill”, migrant rights, and the Irish border “backstop”. The massive concessions from the Tories will give the European Court of Justice (ECJ) effective control over any dispute involving the £39 billion payment and the status of more than three million European citizens and migrants. The foreign judges will also control the implementation of the plan to keep Northern Ireland locked in the bloc’s Single Market if the border cannot be kept open by other means, as the Prime Minister has agreed. The stark climb-down has been made in private, The Times reports, in an attempt to move talks on after they stalled and EU bureaucrats and negotiators refused to comprise. 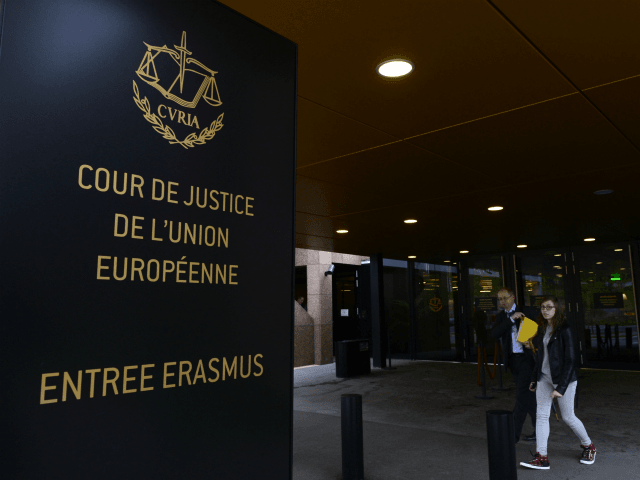 One of the central themes in the Vote Leave campaign was the promise to take back control of Britain’s laws and courts and to leave the jurisdiction of the ECJ. Pro-Brexit Tories slammed the revelation as just the latest example of concessions by Mrs May. Sir Bernard Jenkin, the Tory MP for Harwich, said it was unacceptable and could be rejected in Parliament. A UK government source insisted that the ECJ would not have the final say. “We have categorically rejected any proposal that would see the court of one side decide disputes,” they said. However, a draft withdrawal agreement between the UK and bloc already states that a joint committee of officials will consider all disputes between the two sides.